We recently gave you an up-close and personal look at the Proximity Hotel, an eco-savvy hotel in Greensboro, North Carolina. 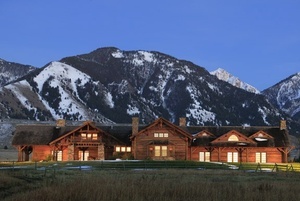 Now IT brings you another style of eco-dwelling: The Lodge at Sun Ranch, opening June 6. 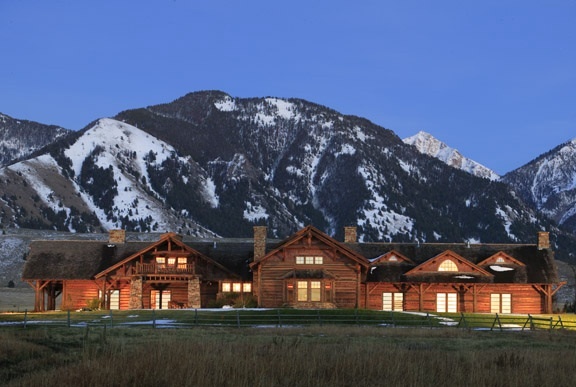 Located on Sun Ranch’s 26,000 acres in Montana’s Madison River Valley, the intimate Lodge (16 guests max, please) boasts a lengthy list of love-the-earth tactics, beginning in the rooms themselves. The Lodge uses biodegradable shampoos, organic cotton linens and towels, and detergents free of hazardous chemicals, among a slew of other guest room eco-amenities. The Lodge remains green throughout the rest of the property, too, and brings in guest speakers to promote conservation education. And it should come as no surprise that one of IT's favorite touches is the Lodge's sustainable cuisine, which uses organic, natural and local ingredients. Before you consider “booking it” to Big Sky Country, have a look at National Geographic's recently released MapGuide for the area, and read about Montana's cinematic history and scenery. Bike enthusiasts and/or history buffs should check out Adventure Cycling Association's week-long pedaling trip through Montana's historical hot spots. You can leave the car behind and save the Earth one step at a time with 70 Park Avenue Hotel's Eco Step Savings package, starting at $259 per night, through May 31. Guests at this midtown Manhattan hotel receive a pedometer to count your steps throughout the day, a walking map of the city, and a welcome organic chocolate and wine amenity. 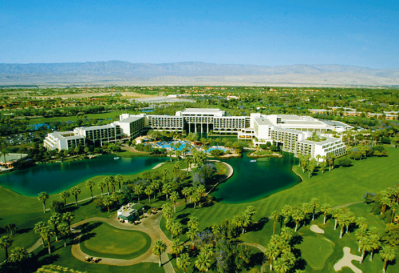 [T]he resort has a whole bunch of environmentally-friendly initiatives like electric-powered golf carts, a 50-million gallon lake that uses reclaimed water and is home to migrating birds, and green housekeeping cleaning products. Even better, ten percent of the proceeds from the package will be donated to the Living Desert Organization. 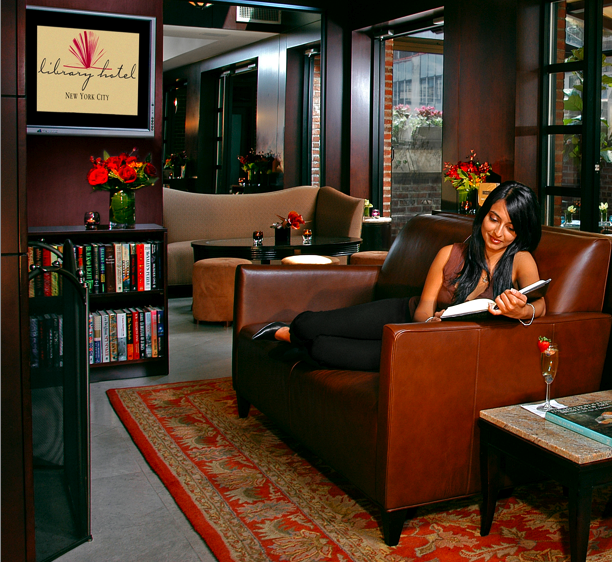 We've covered bookstores--even one you can sleep in–but bookish hotels? Bookworms take note: The financially-strapped New York Public Library sold one of its branches in midtown Manhattan to Orient Express Hotels late last year to the tune of $59 million. In cash. Located at 24 West 53rd Street, the Donnell branch opened in 1955 and is in desperate need of repairs, according to news reports. It will close its doors this fall. 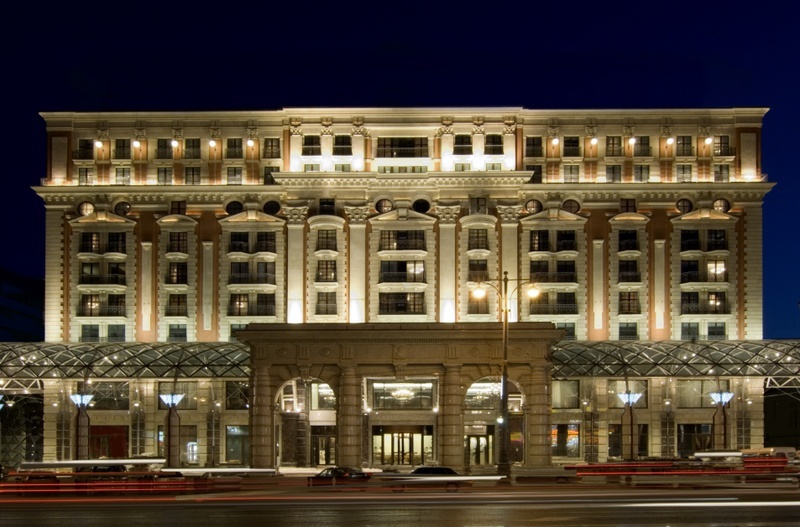 The Orient Express property, dubbed the "21" hotel, will be connected to the exclusive 21 Club restaurant, and is due to open in 2011. If you're as saddened as we are by the need for the library to hold a fire sale in order to stay afloat, fear not: In exchange, the hotel will build a brand new state-of-the-art-library on three floors of the hotel building. In the meantime, if you're hungry for a place to bed down with books, try the Library Hotel, a concept boutique property organized around, you guessed it, the Dewey Decimal System. Each of the 60 guest rooms is filled with tomes devoted to a specific category (Botany, New Media, Slavic). A terraced Poetry Garden and "Writer's Den" are available to guests. And if you crave the real deal, the public central branch is just a block away. Share your thoughts: What do you think of the public library taking up residence in a private hotel? Associate Editor Susan O'Keefe caught up with Brian O'Day, the general manager of The Hotel Hershey, which is celebrating its 75th anniversary this year and is still as sweet as ever. The Hotel Hershey when it opened in 1933, and the hotel today. Hi Brian, Congratulations on Hershey Hotel's 75th anniversary. We've all heard Hershey Pennsylvania is the "sweetest place on Earth." Is it really true? Absolutely! It's a great place to live, work and raise a family. There's always plenty to do here, yet it still maintains its small-town flavor and feel. What's the story behind The Hotel Hershey? The hotel had long been a dream that Milton Hershey and his wife Kitty shared. Mr. Hershey built his hotel in the 1930s, right in the midst of the Great Depression. It was his goal to ensure that nobody in town was unemployed during that time. He created 600 construction jobs, and the projects he developed are now called his "Great Building Campaign." The campaign was about building structures, obviously, but also about building hope that the country would recover and life would go on. The hotel is built on the highest point in the area—on top of what's called "Pat's Hill"—so it has the most spectacular view of the town below. Can you tell us about Mr. Hershey, the inspirational man behind the brand? I understand he started a boy's school that continues to serve kids in the area? It's an amazing success story. He gave his entire fortune (when he was still alive!) 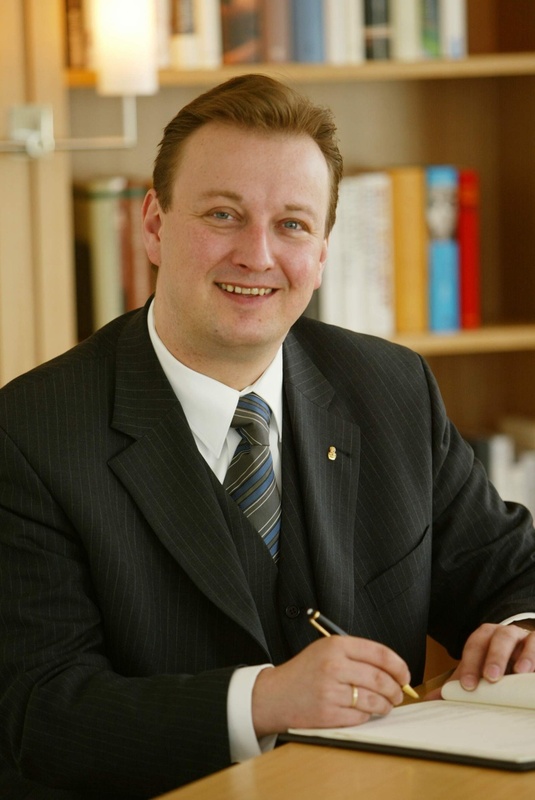 to establish a school for disadvantaged children. He built the entire town as an idyllic community. It's wonderful working for the hotel, because we're owned by the trust that Mr. Hershey established. So we're all working for a "higher purpose," as our profits are returned to the trust to help perpetuate the Milton Hershey School. Today there are 1,700 boys and girls living and learning in Hershey because of Mr. Hershey's generosity and foresight. In what ways is chocolate used at the hotel? We're very creative in our use of chocolate and try to incorporate it into our menus, themes and retail offerings. (Have you heard about our chocolate diamonds or chocolate pearls, which we sell at our Jeweler?) 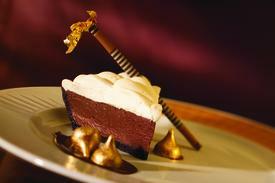 Naturally we use chocolate in our culinary programs; chocolate desserts are a natural. 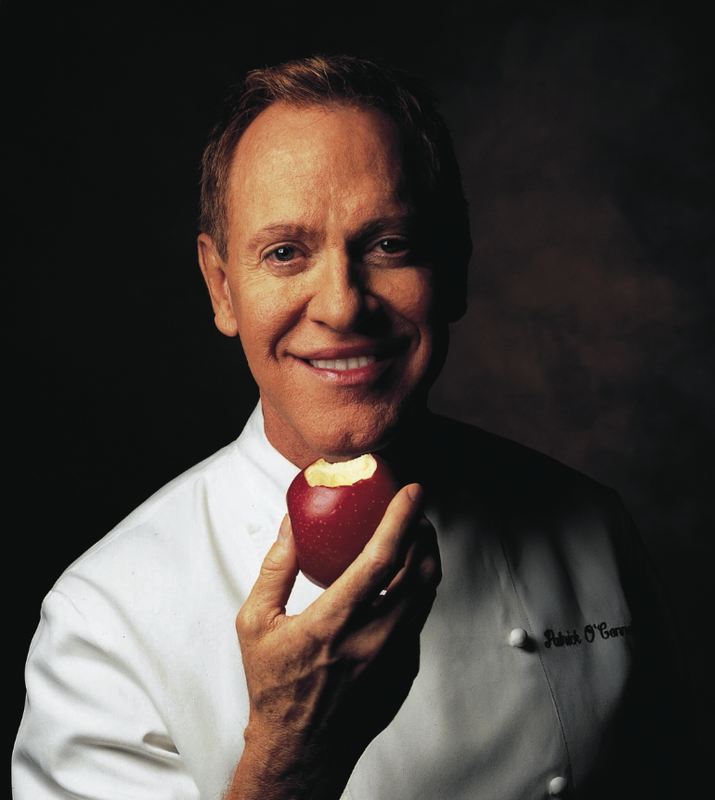 However, Ken Gladysz, our executive chef, also incorporates it into savory dishes and entrees. He uses it as a rub or in sauces. One of the most popular dishes in our Circular Dining Room is our Cocoa-Seared Scallops. We also serve chocolate butter (as well as sweet cream butter) to accompany our chocolate cherry bread. And at breakfast you can't miss our famous chocolate bread pudding. I'm getting hungry just talking about it! So what does a guest received at turndown? Travelers tracking the hot hostelry usually brace themselves for a haughty hotel staff who specialize in putting the "snoot" in snooty. From South Beach to downtown L.A., a chilly check-in can strangle delight no matter how many Aveda amenities appear by the sink. So it's a pleasure to come across a hotel that's both stylish and friendly. Downtown San Diego's 10-month-old Ivy (600 F Street; +1 619-814-1000) will make a guest feel both fussed over and cool at the same time. As luck had it, I spent my two-night stay in a handicapped-accessible room. 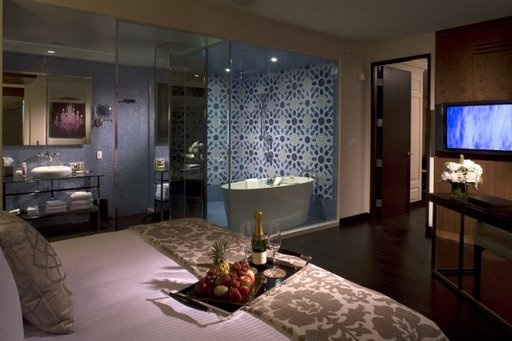 Usually a design afterthought, my room at the Ivy was certainly the coolest one I'd ever been in. (Though it lacked the funky design flair in the hotel's 6th-floor suites, with their see-through shower panels between bath and bedroom. Those frost up at the flick of a switch for the more shy among us). But my room more than sufficed, what with its fresh fruit, complimentary copies of Vanity Fair and Rolling Stone and the Keurig coffee machine, an idiot-friendly device that dispenses shots of Green Mountain dark roast with a flourish. So intent on playing barista, I almost didn't notice the wall-mounted HDTV. Associate editor Susan O'Keefe shares her favorite kid-friendly hotel activities and amenities. Got any she needs to know about? Anyone who has young ones knows that when traveling with children it's all about the hotel pool, at least that's the case with my three children. And, if there is a pool (especially one with slides or waves) you can often leverage some off-property time for exploring the area just as long as you build in plenty of time for swimming. Other amenities like kids' clubs are hit or miss, depending on what types of activities and programs are offered. Hotels are beginning to heed the parents' call that one-room kids' clubs with a few video and board games are not the answer to recreation nor experiential travel, even if it may allow more reading time for mom and dad. We all want to feel good about vacationing and part of that is exposing ourselves to experiences and trying new things. Same goes for the kiddies. Ritz-Carlton Naples, Florida, has just launched Nature's Wonders, an environmentally-focused program for guests who want to connect with nature. Off-resort activities include naturalist-led Back Bay walks, mangrove visits, and even a trip to a hospital for recovering sea life. 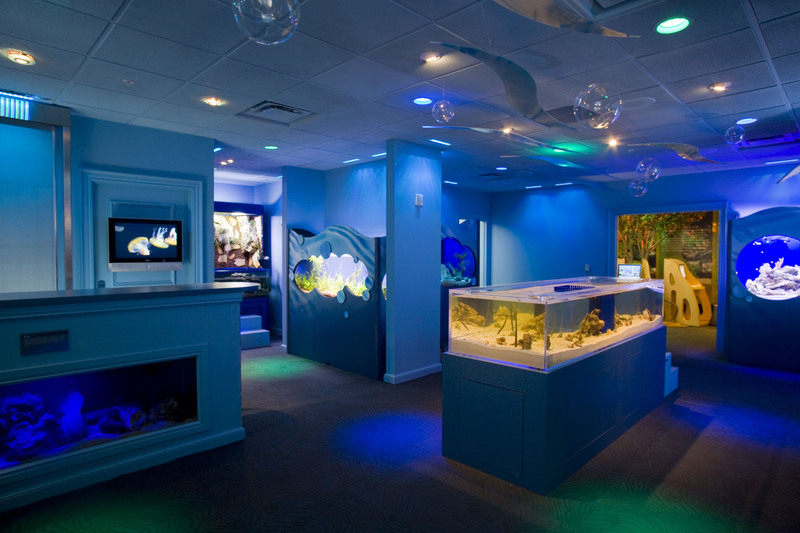 At the heart of the program is the new Nature's Wonders sanctuary where budding marine biologists can hold turtles and starfish and view aquariums hosting sharks, eel, Florida's spiny lobsters, and grouper. When I visited, four new baby alligators had just arrived and two iguanas were showing off. 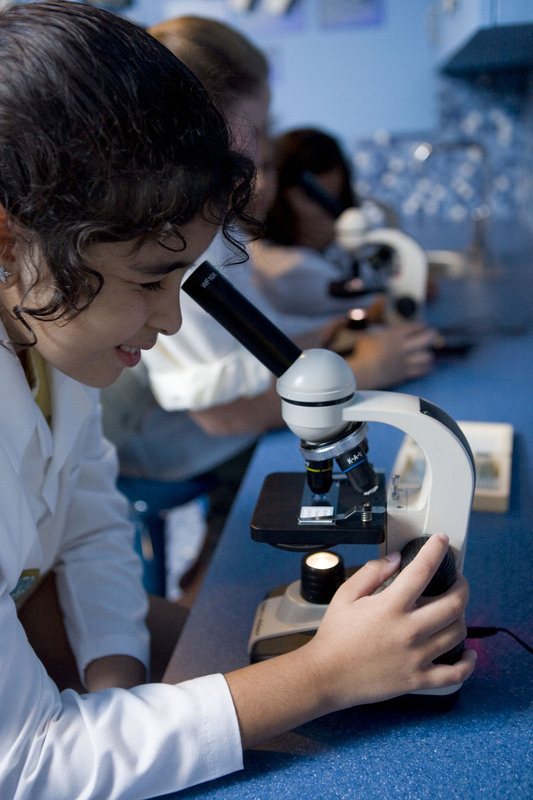 A small lab invites kids to explore slides and petri dishes with pint-size microscopes. And a Nature Vision Theater features the finest, ahem, nature flicks from National Geographic and Discovery. Nature's Wonder charges a daily fee for its programs (full- and half-day), but it hosts a daily open house for guests—adults and kids alike—who want to check out the aquariums and reef life. Four Seasons Resort Costa Rica, located in the country's northwest Guanacaste province, offers complimentary kids' adventures through their Kids for All Seasons program. Young guests get to hunt local insects, reptiles, plants, and hermit crabs or make art with treasures collected from the beach. Teens will dig their own hang-out pad called Taunis, outfitted bright-colored furniture and surfboards, where they can dock their iPods or play video games. But the coolest factor by far is in the activities: kids can sign up for hip-hop yoga, hang gliding, and zip-lining through treetops. Gated Community: Guests of the Gramercy Park Hotel in New York City not only receive access to a private key to the gated Gramercy Park—the city's only private park—located across from the hotel, but they also are welcome to have brunch, continental breakfast, and evening cocktails on the Private Roof Club and Garden—an indoor/outdoor space exclusive to guests on the hotel's 16th floor. 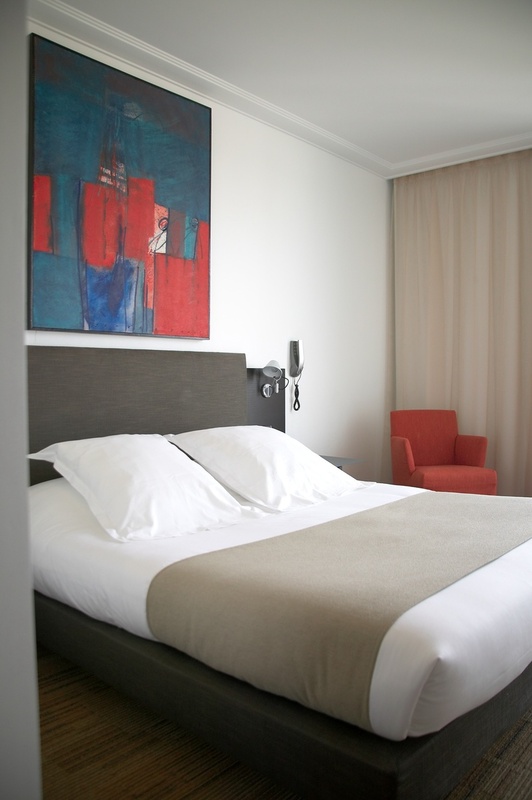 Seaside Chic: While it continues to be expensive to travel to Europe, we love that the chic, modern Best Western Masqhotel in La Rochelle, France, an architecturally rich city on the Atlantic coast, offers guest rooms starting at $134 on their website. The hotel is bright and airy with interiors that blend large pieces of abstract artwork with contemporary furnishings done in leather, plastic, steel, and chrome. With direct access from Paris on the TGV (under three hours), La Rochelle offers fresh sea air and the charming Vieux Port (Old Harbor) where visitors can check out one of Europe's largest aquarium, walk around the picturesque old city, dine at dozens of seafood restaurants, and promenade along the city walls lit up at night. For all you wordsmiths in our midst, a Portland hotel hopes to make your wildest fantasies a reality. 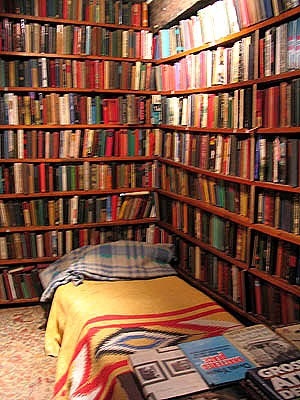 That is, if you dream about lodging somewhere with a cataloged lending library. In December, the Italian Renaissance-style Heathman Hotel, built in 1927 and located in the downtown cultural district, unveiled its 4,000-title library—and a coinciding package, called “Books by your Bedside.” The $229-per-night package promises perks like a free hardcover book written by an author who has also slept at the Heathman (past guests include Tom Wolfe, Wallace Stegner, John Updike, and Alice Walker), a travel reading light, a tour of the library, and some enticing swag from local independent bookstore behemoth (and Rolf Potts favorite) Powell’s. Plus, Heathman vows to make a donation in each guest’s name to SMART (Start Making a Reader Today), an Oregon nonprofit that promotes literacy for children. Heathman’s library boasts signed editions from seven Nobel Prize winners, 14 Pulitzer Prize winners, five U.S. poets laureate, and 2,000 books from the collection are on display in the Mezzanine Library’s custom-designed bookcases. It’s one of the largest hotel libraries in the country and received distinction by AAA this year as the country’s only independent hotel with a library of its scale. And—yes, it does just keep getting better—rather than typical dime-a-dozen hotel art, Heathman’s 150 luxury rooms all feature works by regional artists, and, of course, the hotel’s efforts to earn an EnergyStar certification tug at our eco-loving heartstrings. 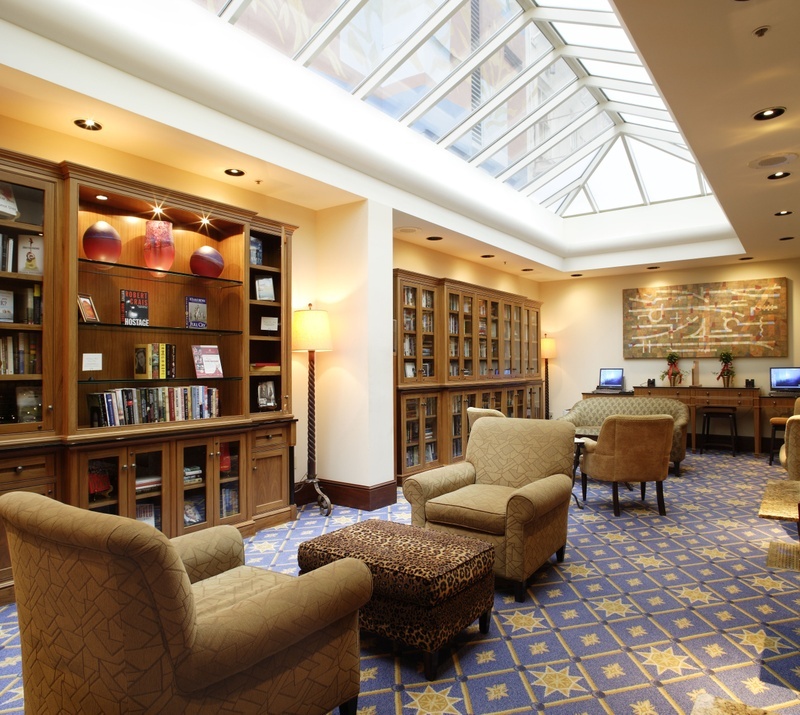 Whether you book a room at the Heathman or not, be sure to peruse our travel library for some of Traveler's handpicked reads.